DNSChanger is malicious software (malware) that changes a user’s Domain Name System (DNS) settings, in order to divert traffic to unsolicited and potentially illegal sites. Beginning in 2007, the cyber ring responsible for DNSChanger operated under the company name “Rove Digital” and used the malware to manipulate users’ Web activity by redirecting unsuspecting users to rogue DNS servers hosted in Estonia, New York, and Chicago. In some cases, the malware had the additional effect of preventing users’ anti-virus software and operating systems from updating, thereby exposing infected machines to even more malicious software. FBI has since seized the rogue DNS servers and the botnet’s command-and-control (C&C) servers as part of “Operation Ghost Click” and the servers are now under their control. To assist victims affected by the DNSChanger, the FBI obtained a court order authorising the Internet Systems Consortium (ISC) to deploy and maintain temporary legitimate DNS servers, replacing the Rove Digital malicious network. As mentioned earlier, this is by no means a permanent solution and does not remove malware from infected systems; it just provides additional time for victims to clean affected computers and restore their normal DNS settings. According to the court order-which expired on 9 July 2012-the clean DNS servers will be turned off and computers still infected by DNSChanger malware may lose Internet connectivity. To put this into perspective, DNS is an Internet service that converts user-friendly domain names into the numerical IP addresses that computers use to talk to each other. When you enter a domain name into your Web browser address bar, your computer contacts DNS servers to determine the IP address for the website you are intending to visit. Your computer then uses this IP address to locate and connect to the website. 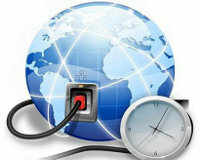 DNS servers are operated by your Internet service provider (ISP) and are included in your computer’s network configuration. With the ability to change a computer’s DNS settings, malware authors can control what websites a computer connects to on the Internet and can force a compromised computer to connect to a fraudulent website or redirect the computer away from an intended website. To do that, a malware author needs to compromise a computer with malicious code, which in this case is DNSChanger. Once the computer is compromised, the malware modifies the DNS settings from the ISP’s legitimate DNS server’s address to the rogue DNS server’s address, in this case, advertisement websites. A task force has been created, called the DNSChanger Working Group (DCWG), to help people determine if their computers have been compromised by this threat and to also help them remove the threat.